The final destination on The 2016 European Museum Tour was actually the first place in Europe we arrived. London, England. My favourite city. After living in London years ago, I always jump at any opportunity to go back and visit. I love the feel, the history, and the architecture of the city. It just always makes me feel happy and comfortable to be there. On any day of the week you can find something to see or do. I swear no matter how long you are there, you can always find something new. Here are the Museums we visited in London during The 2016 European Museum Tour. This is the only museum with an admission fee from our London portion of the 2016 European Museum Tour. The Tower of London (website) is not only a walled castle/palace where the royalty previously lived and ruled from, but it was also a prison. At the same time. The history remains today in the buildings still standing, the ruins left behind, the stories being told, and even in the walls. 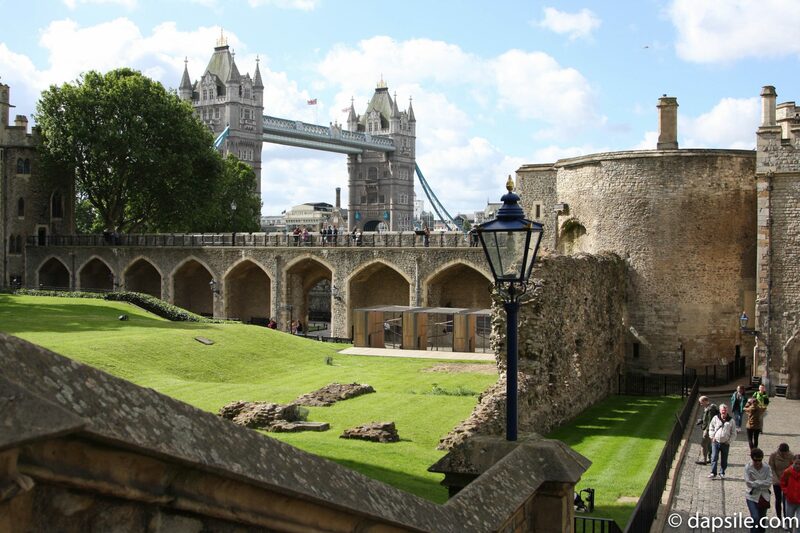 The Tower of London offers visitors a partial guided tour filled with stories of intrigue, death, greed, justice, pain, and even love. While they are responsible for looking after the crown jewels, and any prisoners (not held there anymore) the Yeomen Warders or Beefeaters as they are sometimes called, are also providing the tour. They are former military who look after the Tower and the ravens, but also tell a really good story. 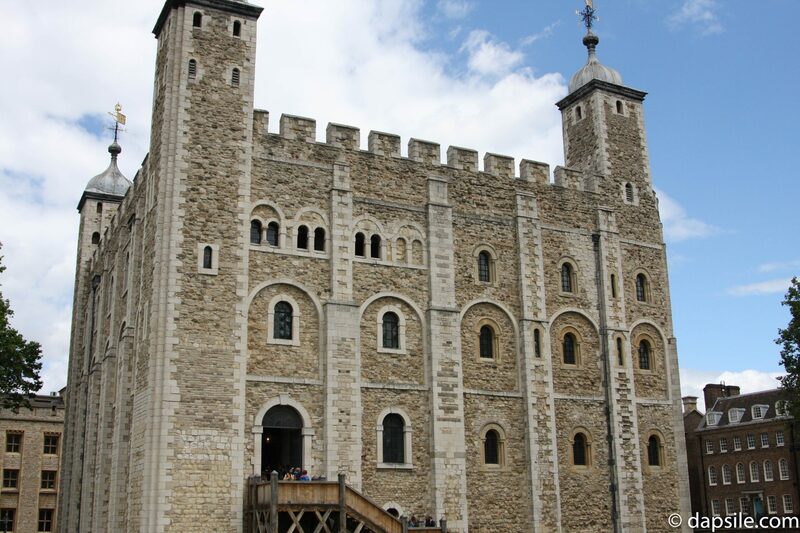 The Tower of London offers tours with ASL as well as descriptive tours of the Jewel House and the White Tower for visually impaired and blind visitors. There are even actors dressed in period clothing, putting on shows throughout the grounds of the castle and talking to visitors. Nothing like interactive history for the entire family. 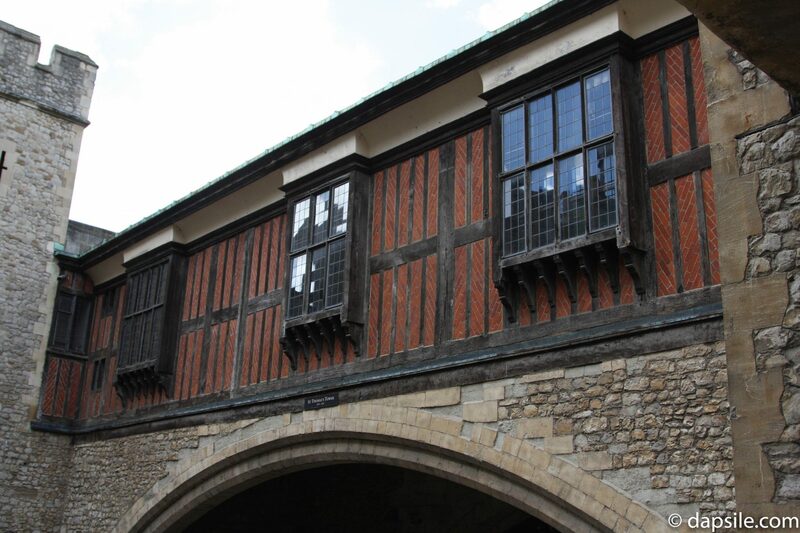 Several collections are housed inside the Tower of London and are included in the cost of your admission. The Armoury, the Royal Jewels, the White Tower (where the two Princes were believed to have been buried), the Royal Mint, and even the historical armour worn by kings which are displayed in Line of Kings. If like me you love history and architecture, you’ll love walking through buildings that actually show you inside the walls. You can see how builders in that time period structured the walls and the buildings. Like I said earlier, no matter how long you are in London there will always be something new. 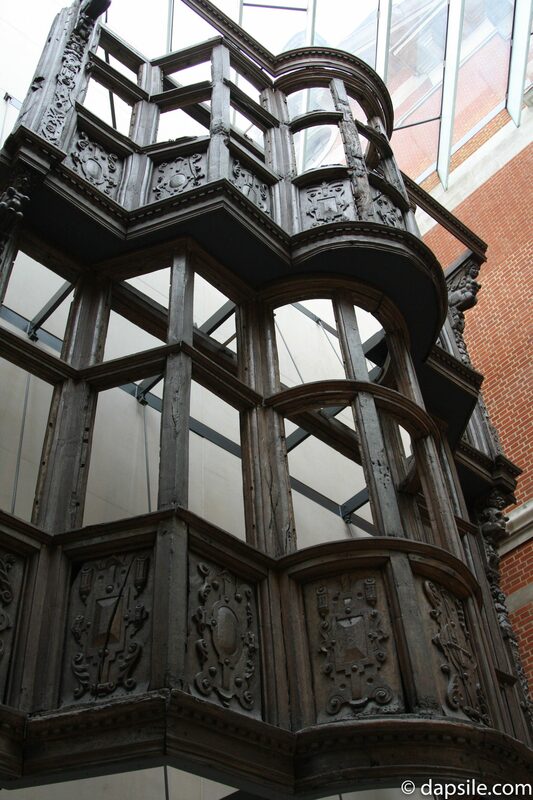 I lived there for three years and I have been back to visit several times but during the 2016 European Museum Tour, it was my very first trip to the Victoria and Albert Museum (website). Calling itself the world’s leading museum of art and design I can confirm that I saw items in this museum that I have never seen in a museum before. And I loved it. With items on display spanning over 5,000 years and showing creativity in almost every medium, the Victoria and Albert Museum was a delight. Needing to replenish with food and drink? The Victoria and Albert museum has three period rooms you can try out. Which apparently, are the world’s oldest museum restaurants, having been designed in the 1860’s. Interactive museum display, I love it! There is the ornately decorated Gamble Room, the Poynter Room(originally called the Grill Room), and The Morris Room. There was the collection of wrought iron items. The staircase and balconies from a historical building in France. A façade of a building from the UK. There was just so much to see that you normally don’t get a chance to see in most museums. I really enjoyed the visit and will probably go again. 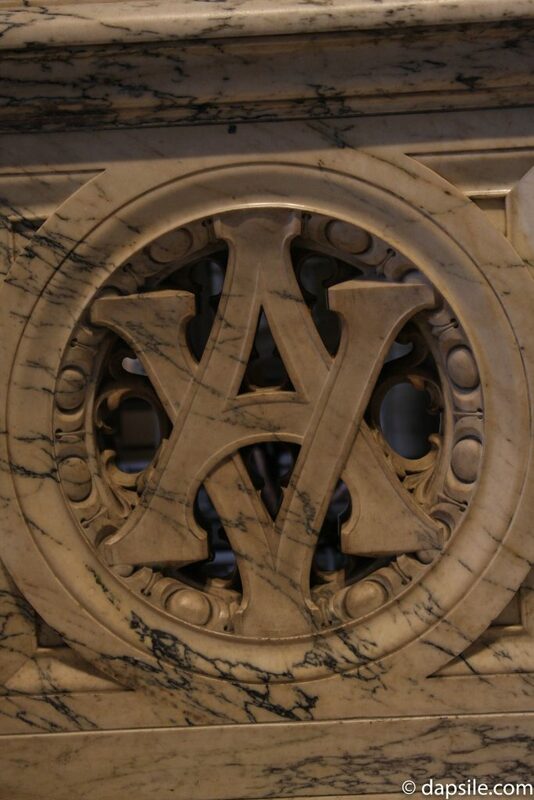 While admission for the Victoria and Albert (V&A) Museum is free, some exhibitions and events have a separate charge. Love art? Want to see paintings created by some of the most famous names in the history of art? Want to see art created by people hundreds of years ago? Oh, and do you want to see all that for free? Then the National Art Gallery (website) is the joy you have been looking for. I squealed like a man who saw a spider in front of him, as he walked around a corner and someone jumped out at him. I could not contain my excitement. I’ll explain…..
Leonardo da Vinci is my favourite painter. I love so many different painters but he is my favourite. Plus, the man was a crazy genius. Anyway, during the Paris portion of the 2016 European Museum Tour we saw his ‘Virgin of the Rocks’ painting at the Louvre, which is one of my favourite. Then as I was walking around the National Art Gallery in London, I saw it again. So, of course I Googled. He painted two of them and I have now seen both. This is something that hadn’t even made it onto my bucket list yet and I was already crossing it off. It was so exhilarating and amazing that I don’t feel these words describe the experience enough. Needless to say, The National Art Gallery of London is a great way to spend some of your touristy time and embrace all the excitement and joy of witnessing the works of some amazingly talented painters. Plus, it is open every day. It’s also located in Trafalgar Square so you can cross that off your ‘to see’ list too. And after, you can either head up to Piccadilly Circus & Leicester Square or down the Royal Mile to Buckingham Palace. Another museum that offers free admission, the British Museum (website) is a bit of a prickly subject for me. Because of an article I read years ago, I don’t appreciate the ‘how’ a lot of the artifacts were apparently acquired in foreign countries. For years I wouldn’t even visit this museum, until one day I finally walked in. I generally stick to items from the UK though, which means there is still so much to see because of the country’s lengthy history. This visit, I found the old previous British Library room. It was magnificent. The room itself was wonderful and that alone made me want to just sit in the middle of it, on the floor. I didn’t though. The room is now called the Enlightenment Room though seeing as the British Library is now housed in its own building. One of the hardest parts of the 2016 European Museum Tour was that I did it while I was injured and limited in movements and stamina. It made it hard to see everything I wanted as well as walk around the different venues. I had to stop and rest a lot. 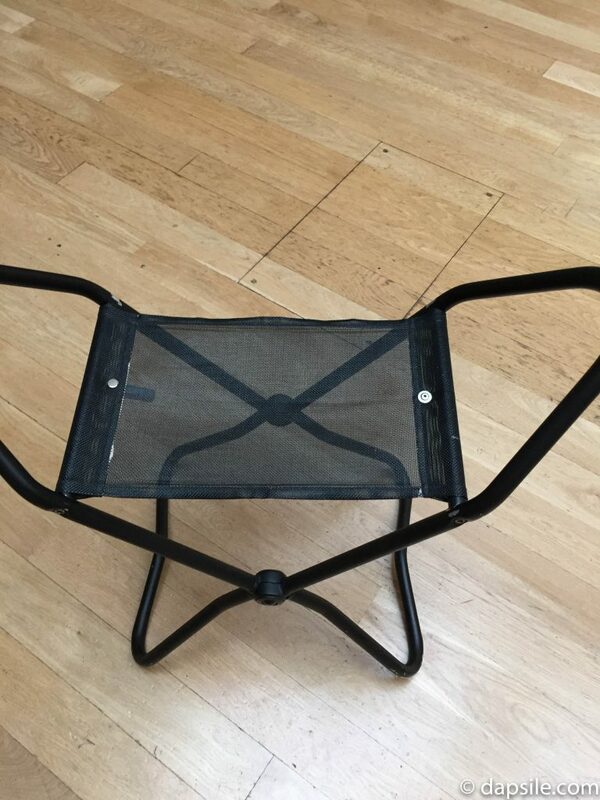 My cousin found these great folding stools you could use at the British Museum though. 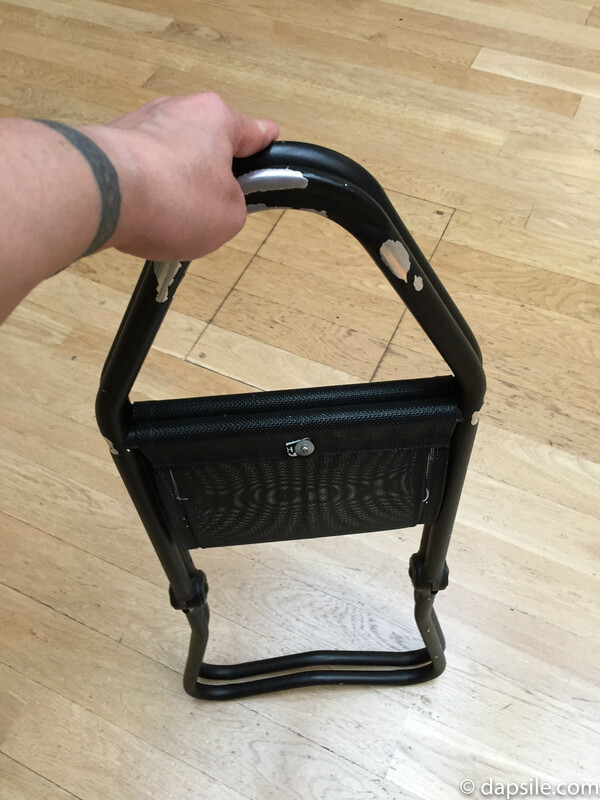 They were lightweight so it wasn’t hard to carry them around, plus you could use them to sort of help you walk. Then when you wanted to, or needed to, you unfolded it and rested. Every museum should offer these! Squeeeeee!!! You might be wondering why a library would bring about that kind of a reaction. If you are, you have no idea what the British Library (website) contains. Imagine a 9-story building with over 150 million items. Not just exhibits or every publication ever produced in the UK and Ireland (EVERY ITEM) either. But there are also maps, sound recordings, drawings, the world’s earliest dated print book (the Diamond Sutra), the Magna Carta and even a napkin containing handwritten song lyrics by one of the Beatles. The variety of the objects housed at the museum is unbelievable and I haven’t seen anything like it anywhere else. They have Leonardo da Vinci’s notebook, Chinese oracle bones that are over 3,000 years old, and even a recording of Nelson Mandela’s Rivonia trial speech. We only went into one room the day we were there and I could have spent even more time in that room. The only other thing we visited was a punk rock exhibit. This is definitely a museum for me to visit more than once. Not only that but the library is open every day where you can take a tour, check out the exhibits, shop, eat, or even reserve and sit in one of the many reading rooms. The British Library was an easy visit for the 2016 European Museum Tour because it is located right by the King’s Cross St. Pancras, Euston and Euston Square train and underground stations. Pssst, they also have free Wi-Fi. 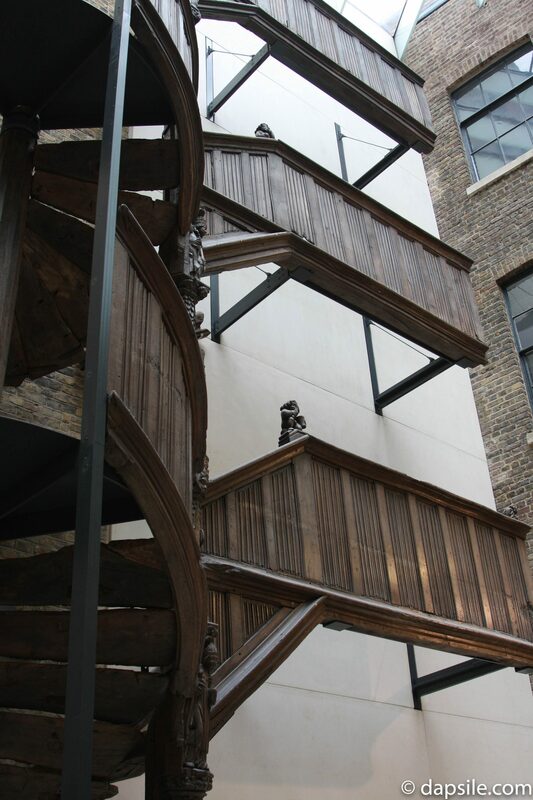 Each of the museums have so much to see and do as well as wonderful facilities for visitors. Please note when I say these museums are open every day, the hours are different for the days of the week and they are not open on all holidays. I’ve included the links to each website for you to double check though.